This week’s list of data news highlights covers January 12 – 18, 2019, and includes articles about Finland’s goal of teaching one percent of its population the basics of AI and Nvidia using an Ikea kitchen to develop robots that work well alongside humans. The U.S. National Institutes of Health (NIH) and Fitbit have launched the Fitbit bring-your-own-device initiative, which allows Fitbit users to share their data with NIH to advance scientific research in precision medicine. Fitbit users can sync their accounts to share data on health indicators such as their physical activity, heart rate, and food and water intake. Participants can also share their electronic health records and answer surveys to provide more health information. The initiative is the first project of NIH’s All of Us Research Program, which aims to improve human health by studying the effects of differences in lifestyle, environment, and genetics. 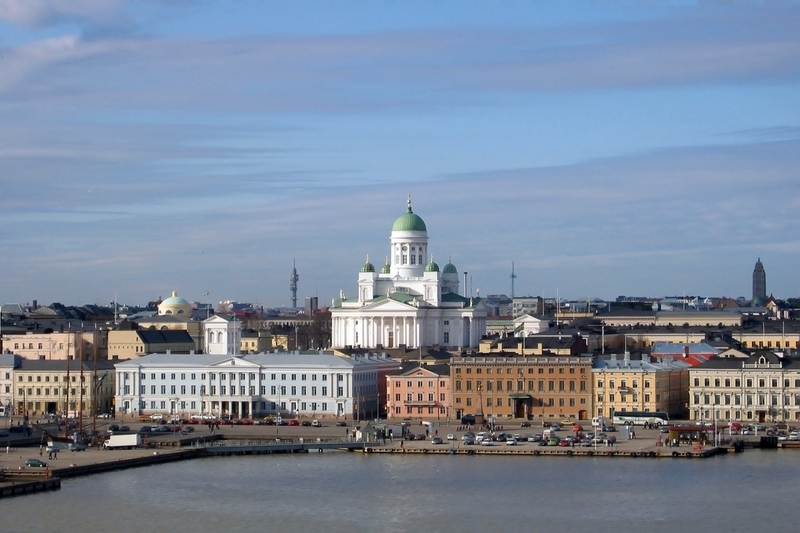 Finland has set a goal of teaching the basics of AI to one percent of its population—55,000 people—to raise awareness about the technology and to equip voters with the knowledge to be active participants in AI public policy debates. The initiative, which originally began as a free-access university course, teaches citizens about AI through an introductory online course. The course, which over 6,000 Finnish citizens had completed by December, includes chapters on machine learning and neural networks. Giant, a grocery store chain, is implementing an autonomous robotic assistant named Marty in 172 of its stores. Marty uses computer vision to find spills, debris, and other potential hazards, which the robot reports to store employees. Marty also alerts nearby customers, saying “caution, hazard detected.” In addition, Marty scans shelves to find items that are out-of-stock and to find prices that do not match the store’s scanning system. Researchers from Boston Children’s Hospital have developed a method that uses machine learning to accurately estimate influenza activity at the state level in the United States. The method, which uses data from Google searches, electronic health records, and historical flu trends, including spatio-temporal data, provides influenza forecasts a week before traditional reports. The more timely data can help mitigate potential flu outbreaks. Nvidia has created a new kitchen lab, based on an Ikea kitchen, in Seattle to develop robots that can better work alongside humans. For example, one robotic arm inside the lab is learning how to place jars, bottles, and boxes into drawers. The tasks the robots perform will get progressively harder, and Nvidia is also experimenting with teaching the robots basic laws of the physical world, such as gravity, to help the AI systems controlling the robots advance. Researchers from Queensland University of Technology in Australia have developed an AI system that can predict the location of the next tennis shot within one meter. The researchers trained the system on ball behavior, such as the ball’s speed and trajectory, and player behavior, such as foot placement, from 8,780 shots from Rafael Nadal, Roger Federer, and Novak Djokovic using a generative adversarial network. The system predicted the future shot placement of these three players within 0.87 meters, 0.79 meters, and 1.14 meters, respectively. Farmers are increasingly using data to improve their methods. For example, Rivendale Farms in Pennsylvania places collars on 150 cows to monitor their movement and eating patterns. The farm is also using sensors to control the temperature, humidity, and sunlight in a greenhouse. Lastly, the farm has collaborated with Carnegie Mellon University to develop “scouting robots” that will use computer vision to identify which plants are healthy and which are diseased. The UK’s National Health Service (NHS) is launching a trial to learn if AI can diagnose breast cancer. In the trial, Kheiron Medical, a firm that uses AI to detect cancer, is testing its algorithms on tens of thousands of historic mammograms. Kheiron trained it system on a half a million scans from hospitals in Hungary and could help the UK solve its shortage of human radiologists. Detroit is working with startup RoadBotics to use machine learning and driver-collected data to determine which streets needs roadwork. During the pilot, Roadbotics will have drivers travel throughout the city with smartphones mounted in their car to record a continuous stream of video while linking the video to GPS data. Then, to provide a rating of which roads are in need of the most immediate work, RoadBotics will analyze the footage using AI to automatically identify road defects such as potholes and cracks. German private aid organization Welthungerhilfe is using AI to identify children in India who are suffering from malnutrition, which can be difficult for the human eye to accurately detect. The organization is deploying over 1,000 trained health workers, and the workers will use smartphones to take 3D scans of 10,000 children to determine their height, body volume, and weight ratio. Welthungerhilfe then uses nutritionists and AI from Microsoft’s Azure cloud to analyze the health of the child and provide children with vitamin-rich provisions when necessary.